Wow! What an incredible two days of racing. The showcase races, the Distaff and Classic, lived up to all the hype. Beholder, the top Super Screener win pick, who finished 2nd to California Chrome in the G1 Pacific Classic but was out gamed twice by Stellar Wind, went off at an insanely generous 3-1, defeated by just a nose the undefeated Songbird making her first start against older. It was a thrilling finish as Stellar Wind got knocked out early due to a rough start so that left Beholder and Songbird dueling down the stretch in the most epic of battles. In the Classic, it set up as expected. The top Super Screener super confident win pick was Arrogate and it was expected that he and California Chrome would draw away from the field engaging in their own match race…and that’s exactly what happened. 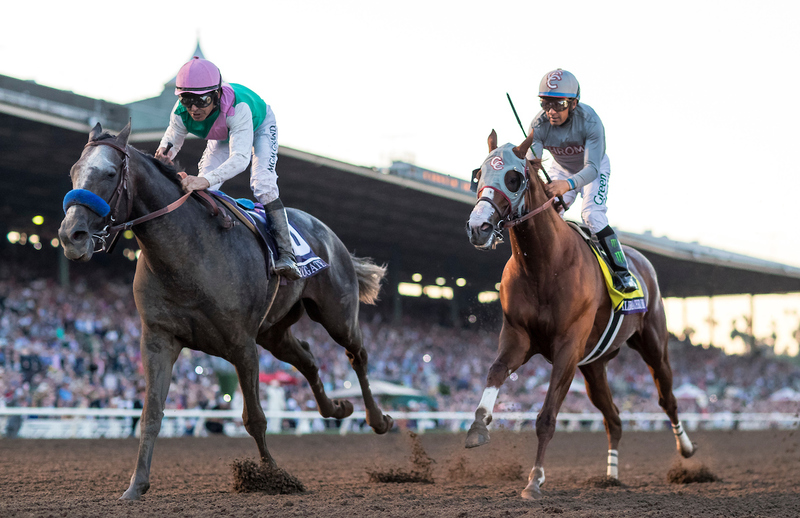 Turning for home it looked like California Chrome was going to give Arrogate the slip but when Arrogate finally switched leads in mid-stretch, he found that other gear and ran down a determined California Chrome to validate his status and the #1 win pick for the Super Screener. The only favorite that the Super Screener took a firm stand against that performed well was Masochistic in the Sprint finishing second to Drefong at 7-5 just holding off our top long shot bomber in the race, Mind Your Biscuits 15-1, who passed Masochistic a jump after the wire. Ugh! The 2016 Breeders’ Cup in now officially in the books and next year we look forward to the Breeders’ Cup being run at a Super Screener favorite track, Del Mar. Speaking of Del Mar, remember the Super Screener has now gone weekly! Don’t miss out on all the racing action that begins at Del Mar and Churchill Downs featuring a ton of 2 year-old racing as we get ready to start the new year on the Triple Crown trail. Go to superscreener.com to learn more about how you can receive the Super Screener Stakes Weekend every Friday morning. UPDATE! We’ve gotten some great reports from our BC Super Screener readers! Check them out – CONGRATS GUYS! Get 2017 Breeders’ Cup Picks Now! 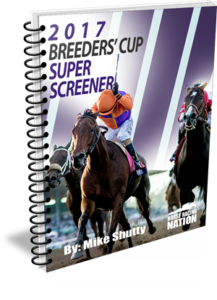 ← Previous Story Get the 2016 Breeders’ Cup Super Screener NOW! Next Story → Still Cashing After the Breeders’ Cup! 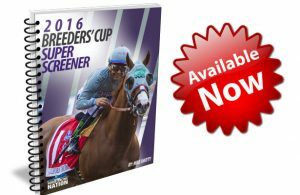 Get the 2016 Breeders’ Cup Super Screener NOW! Mike , I wanted to thank you and your team. Purchased the Breeders Cup prep race package and as of 1/07/2016 I just put 3,300 in my bank account. This package was well worth the money.Thanks again Randy Natho.